Want to learn when to a/b test and when to usability test? In this live training, Laura Klein, author of UX for Lean Startups, explains how to combine qualitative and quantitative research methodologies in order to build better products. Laura has spent over 15 years in Silicon Valley as an engineer, UX designer, and product manager. Her goal is to help Lean startups learn more about their users so that they can build better products. 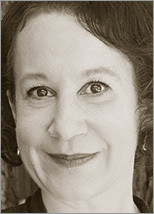 A Lean expert and author of UX for Lean Startups, her popular design blog http://usersknow.blogspot.com/ Users Know teaches product owners exactly what they need to know to do just enough research and design. She is currently a mentor at Tradecraft and an advisor to several early stage startups.